Catcher Devin Mesoraco launched his second grand slam in as many games to lead the Louisville Bats to a 6-2 win over Syracuse. Third baseman Juan Francisco also homered. The Lexington Legends scored four runs in the seventh inning to earn a come-from-behind 5-2 win over Greenville. Right-handed pitcher Jose Cisnero took a no decision despite surrendering just two runs in six innings. Lake County scored three runs in the bottom of the ninth inning to send the Bowling Green Hot Rods to a 5-4 last at-bat loss. Right fielder Brett Nommensen and first baseman Kyle Wiegand each homered for the Hot Rods. Former UK left-handed pitcher Chris Rusin surrendered two unearned runs in two innings before leaving with an injury, thought the Cubs have since said it was a precautionary move. Former UK catcher and 2010 Astros NDFA Marcus Nidiffer slugged his 14th home run of the season for short-season Tri-City. 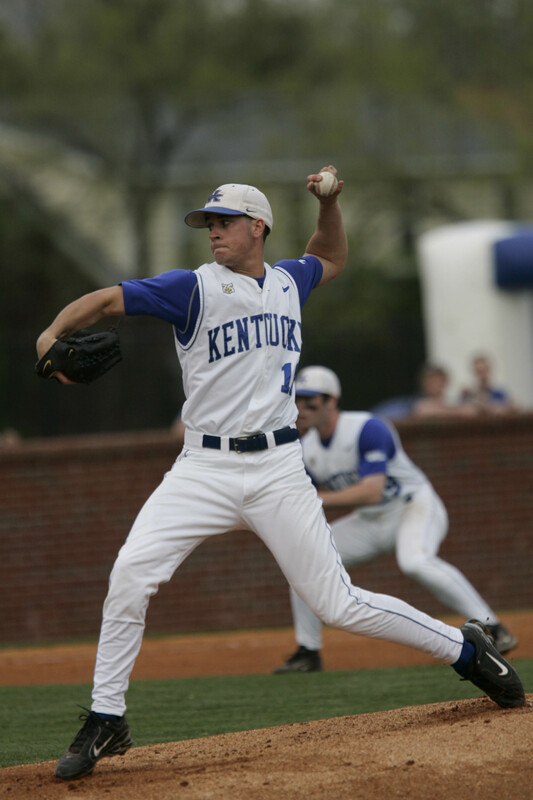 Pitching for the first time this season former UK right-handed pitcher Scott Green struck out two in a scoreless inning on a rehab assignment for the rookie-level GCL Tigers. Former UK catcher Sean Coughlin was 3-4 with two RBI for AA Mobile. Former UofL right-handed pitcher and 2010 Nationals draftee Neil Holland earned his third win of the season with three scoreless innings for short-season Vermont. Former EKU infielder Neil Sellers slugged his fifth home run of the season for AAA Lehigh Valley.